The SAG Awards Ceremony Auction has kicked off at sagawards.org/auction. 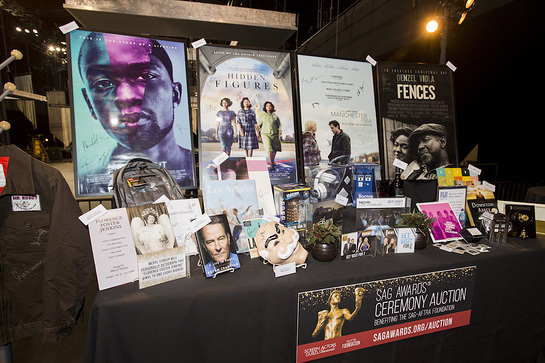 The SAG Awards Ceremony Auction offers movie and television fans the chance to win autographed collectibles signed by many of this year’s nominated actors and casts, including a 12-inch vinyl record of “Florence Foster Jenkins” to be personally autographed by Meryl Streep, a “La La Land” 7-inch vinyl and mini poster signed by Emma Stone, a film still canvas print from “Jackie” signed by Natalie Portman, posters signed by the casts of “Moonlight,” “Manchester by the Sea,” “Fences,” “Hidden Figures,” “Arrival,” “Captain Fantastic” and more. 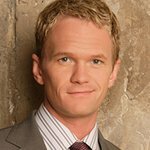 Also up for bid are set visits to Netflix’s “The Ranch,” “NCIS: Los Angeles,” “E! News,” “Entertainment Tonight” and “The Insider,” as well as premium items and unique experiences provided by the networks, studios, and SAG Awards sponsors. The auction closes Monday, February 6 at 9 p.m. (ET) / 6 p.m. (PT). Proceeds from the SAG Awards Red Carpet Bleacher Seats Auction support the SAG-AFTRA Foundation's signature children’s literacy programs: Storyline Online (storylineonline.net) and BookPALS (Performing Artists for Literacy in Schools) where professional actors read to more than 12 million children in classrooms and online every month. The auction also supports the Foundation’s Catastrophic Health Fund, Emergency Assistance and Scholarship Program for SAG-AFTRA members and their families.